A billboard is a rectangular flat object that always faces the camera. Billboards are used instead of fully functional objects that are barely seen from far off and slightly change their position when the camera moves around them (e.g. clouds, stars, far away forests). Using billboards helps to simplify and speed up rendering. For example, when you are adding a tree that is hardly seen from a distance, instead of creating a complex tree mesh, just put an appropriate texture onto the alpha-tested billboard and it will make no visual difference at such a range. 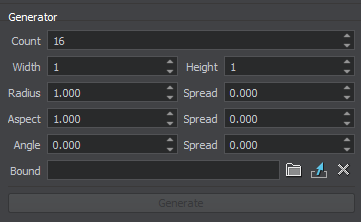 In the Billboards section of the Node tab, you can create new billboards and tweak their settings. Adds all billboards from identical children objects to the list in the parent billboard and removes the added children from the World hierarchy. Adds a new billboard. 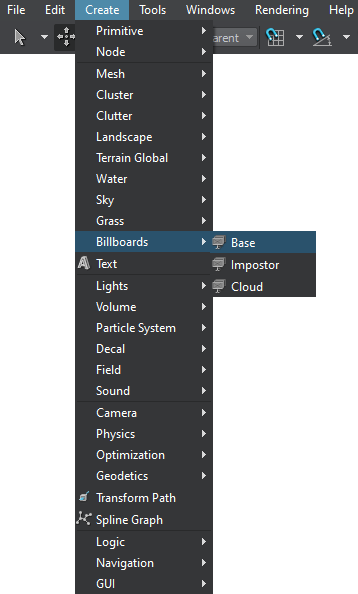 After a new billboard is created, it can be selected in the list of billboards in the Node tab and repositioned using a standard manipulator. Removes all billboards from the list. Sets the X, Y and Z coordinates of the billboard's normal vector. Is used to orient the billboard. Works only with the billboards_impostor_base material. 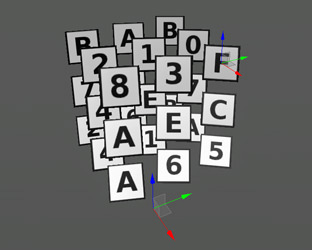 World Z — the billboards object uses a world space orientation. Local Z — the billboards object uses a local space orientation. Positions all billboards to the surface below them. 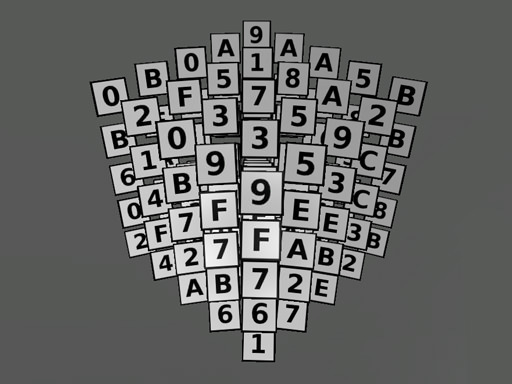 Generator allows you to automatically create a specified number of billboards and randomly scatter them within an arbitrary mesh volume. 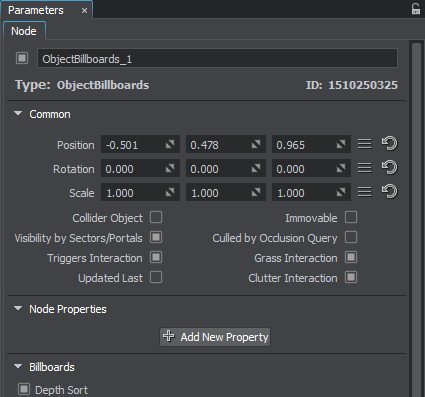 After that, they will appear in the list in the Billboards section of the Node tab and can be repositioned, if necessary. 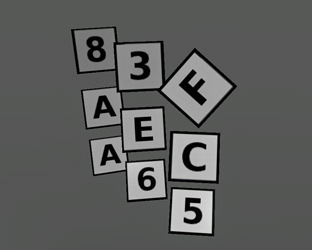 If a texture atlas is used, each of the created billboards will be randomly assigned one of texture slots.